Before you apply any kind of touch up paint to your car, you need to practice on another piece of metal to ensure that you know what you're doing. Follow all of the instructions that are on the bottle, including getting a primer if necessary. This type of paint comes in numerous varieties including small spray cans, pens, and jars with small brushes. The first step to applying touch up paint would be to find the right color that you need. When you begin painting, you need to do so in an area that has low humidity levels. A road trip can be a fun and exciting way to spend spring break with your friends. However, at Truck Town, we want you to know how to avoid or handle as many emergency scenarios as possible. Having a map in your vehicle can be handy in case your GPS stops working or is broken. 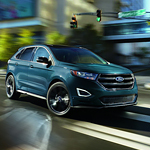 The Ford Edge SUV is one that offers numerous design features that make you feel like you're driving in luxury while in Bremerton. The smooth lines and the fluid details on everything from the grille to the trunk of the car make it an SUV that demands attention. If you need a heavy-duty work vehicle, the Ford Super Duty is right for you. 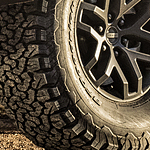 The Super Duty is one of the top choices when it comes to heavy duty vehicles. Whether you need to carry heavy loads or tow large items, the Super Duty will get the job done. Find out more about how this vehicle can make your jobs run smoother. At Truck Town, serving Bremerton consumers, we try to keep our customers informed about their vehicles. 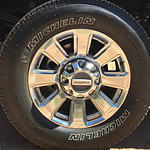 If you have an SUV that you want to take off-roading, it is vital that you are prepared. Use these beginner off-roading tips to help you have a safe experience.